KIA Information: Known to have been killed when the plane crashed at Zeedijk at Holwerd. Next of Kin:Son of Herbert and Lily Mortimer, husband of Clara May Mortimer, of Thurnscoe, Yorks. Next of Kin: Son of Thomas and Edith Ball, Preswich, Lancashire. 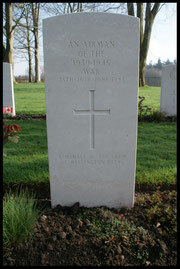 Information: Crew member of the Wellington of the HE346, 166 Squadron, which crashed at Waddenzee, near Ternaard and Holwerd. All 5 crew members missing. Found at Holwerd.